On Thursday 27 December 2018 Joseph Rogers, author of the forthcoming title “Britain’s Greatest Bridges”, became the first person recorded by the West Somerset Railway to run from Bishops Lydeard to Minehead via every station on the line. 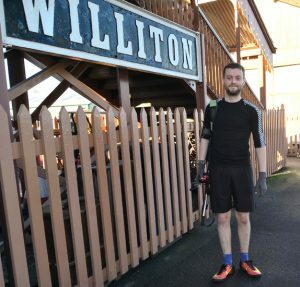 Here he is at our beloved Williton Station, doing a WSR Station visit before continuing to Doniford Halt as part of his 24.1 mile run. The route follows safe areas around the West Somerset Railway following public footpaths. 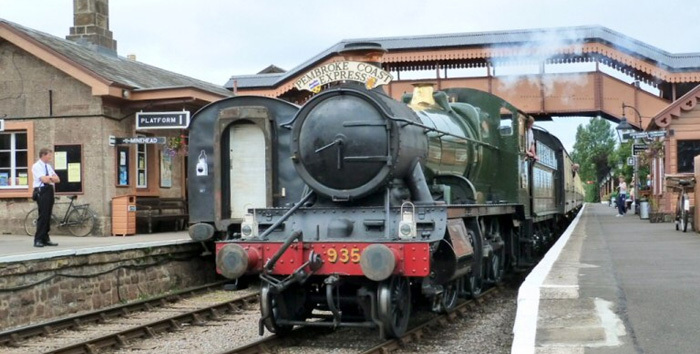 Such a challenge had been proposed on the official West Somerset Railway website for the year, with a sheet available to print off to record each station visit, but until now, no such form had ever been completed and handed back to the railway. Previous PostPrevious Lump short of a bucket!